There is no secret to Samsung’s success – make multiple devices that everybody can afford and selling those models to the appropriate markets. Most of their models never reach the shores of the U.S. but sell millions in the emerging nations. This is something that Apple has refused to do, and while they are number one in the U.S., outside our borders, Android and more specifically, Samsung rules by a large margin. 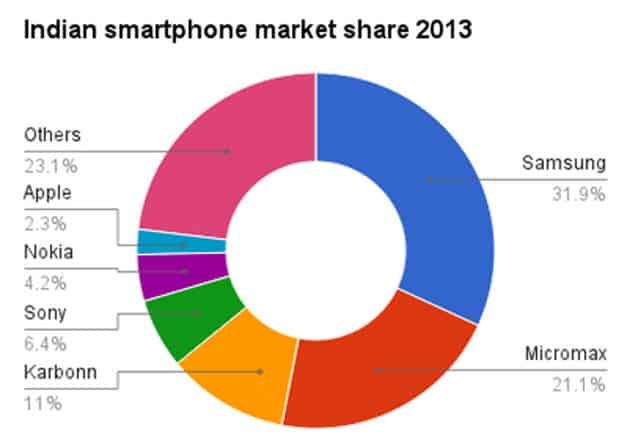 The U.S. is what they call a saturated smartphone market, and while high-end devices will continue to sell well here, those emerging nations is where the real money is to be made – there are literally billions of potential customers in those countries like India and China – India has a population of over 1.2 billion themselves – but most of their population cannot afford a high-end device costing $800-$1000, like the new HTC One M8. Emerging markets do not have the carrier subsidies that we enjoy in the U.S. and users over there buy a device for full retail like they would a microwave or TV. The HTC One M8 is a fantastic device, and many blame its failure to pull HTC out of its downward spiral on improper marketing/advertising, but it was never going to be the HTC ‘savior’ – they need a more affordable line of smartphones that they can pedal in the U.S., but more importantly, to these emerging nations where the potential for sales in the low-middle price range is at an all-time high. If it was only marketing then why does Micromax and Karbonn together hold over 32-percent of the Indian market and chasing only Samsung – it is their pricing. Apple has made a concentrated effort to gain a foothold in the Indian market, yet they hold a measly 2.3-percent of the market and they keep losing ground – they even re-released their iPhone 4, still at $375, in order to increase sales. HTC needs to stop being like Apple and start being more like Samsung. This is why the Moto G is selling so well as an entry-level device, although it really has mid-range qualities. This is where the HTC Desire series of phones comes in – a mid-range type device within the sub $250, low-end pricing range. 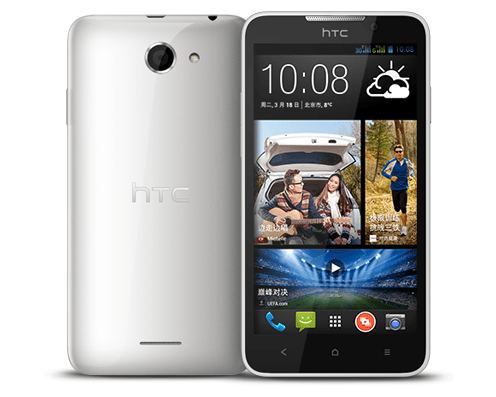 The Desire 610, with its Snapdragon quad-core processor and 4.4-inch display have a real chance to make a real difference in HTC’s sales and bottom line. Competition will be tough with great devices like the Moto G and new Nokia X and the updated devices from local players, but HTC has a great design pedigree, and if priced right, could attract new buyers. While Samsung has updated their Galaxy Grand 2, the HTC 816’s design is inspired by what some would say is the best-built smartphone, the HTC One M8, and is selling like crazy in China. The 816 steals some of its features including the front facing speaker and has a larger screen than the Galaxy Grand 2 – and emerging markets equate big with better. As long as HTC prices it in the mid-range level, under $400, it may steal some of Samsung’s thunder. If HTC can market the Desire Series properly, this low-midrange line may be exactly what HTC needs to gain in market share and increase their profits…but if they try to pull a HTC One Mini and try to command a premium price, the customers in the emerging nations will look elsewhere and HTC will be on the same road they find themselves now. Please let us know on our Google+ Page what you believe needs to happen for HTC to become a force again in the mobile world…we would love to hear your opinion. The post The HTC Desire Line-Up May Save Them, Not the HTC M8 appeared first on AndroidHeadlines.com |.